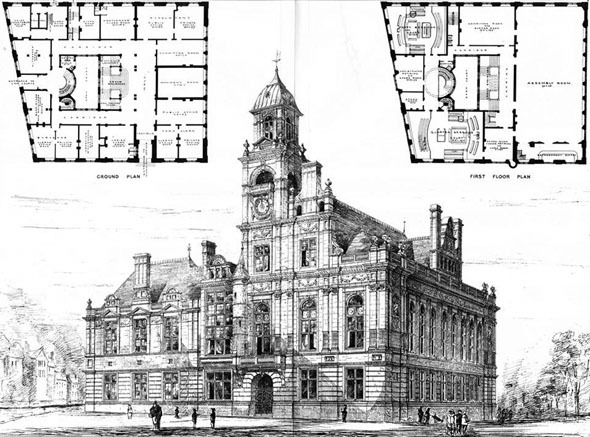 An architectural competition with many of the leading architects of the day shortlisted. 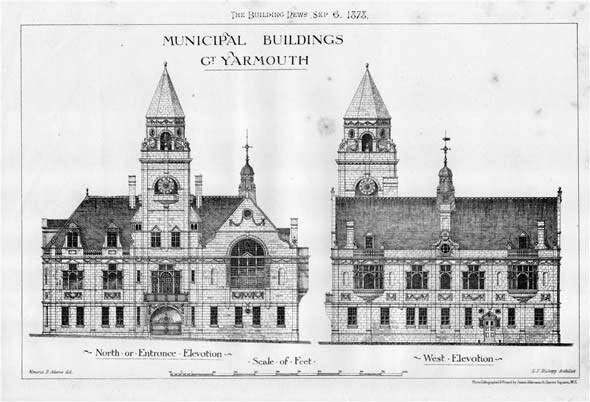 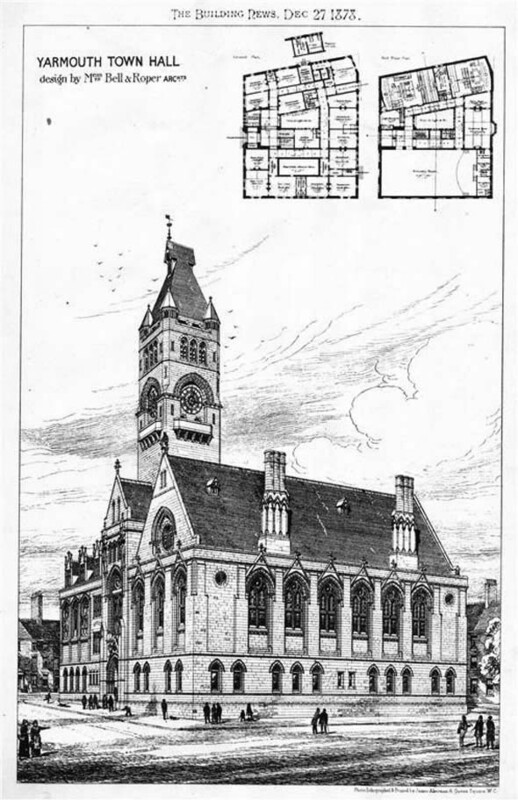 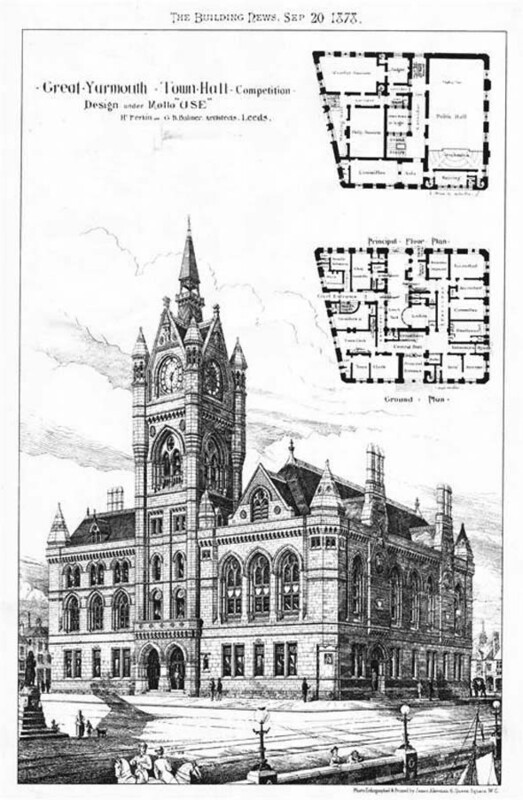 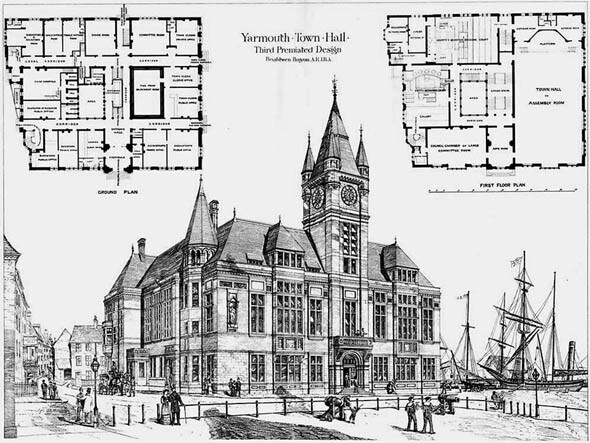 John B. Pearce was the selected architect to design a new town hall for Great Yarmouth, and largely built as designed. 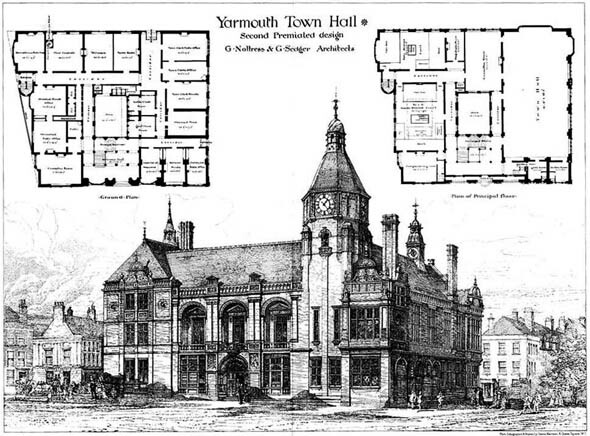 It recently (2008) underwent a full restoration.